SAMS faculty and Class of 2018 – Persons of the Month for May | Command and General Staff College Foundation, Inc. The CGSC Foundation has selected the faculty and 2018 graduating class of CGSC’s School of Advanced Military Studies (SAMS) as the Person(s) of the Month for May 2018. Graduation for the 2018 class is May 24. The graduating class is comprised of military officer and civilian students from two courses in SAMS: the Advanced Military Studies Program (AMSP) and the Advanced Strategic Leadership Studies Program (ASLSP). AMSP is a one-year program for Majors and junior Lieutenant Colonels. Students must have completed CGSOC or their service’s ILE and volunteer for an in-depth selection process to be chosen for the rigorous graduate level education in operational art to earn a Master of Arts in Military Operations. Graduates from this program are assigned as staff leaders and planners at the division, corps, and service component level. ASLSP is a two-year, senior service college program for Lieutenant Colonels and Colonels who earn a Master of Arts in Strategic Studies upon graduation. During the second-year, ASLSP students are assigned as the military faculty for both programs. ASLSP graduates subsequently go on to theater level organizations, combatant commands, or other ‘four star’ headquarters following their tour at SAMS. In all, there are 158 students from SAMS with 141 in the AMSP and 17 in ASLSP. Of the 158, nine are women. 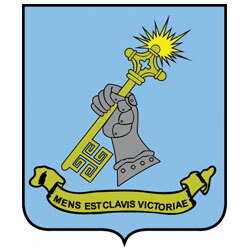 Most of the students are from the active ranks of the U.S. Army, U.S. Army National Guard (five officers), and the U.S. Army Reserve (three officers). The U.S. Air Force (10 officers) and U.S. Marine Corps (four officers) also participate along with 14 international students from the following countries: Australia, Canada (two officers), Germany, Lebanon, Netherlands, Republic of Korea (two officers), Pakistan (two officers), Slovenia, Spain, and the United Kingdom (two officers). There are also students from other U.S. government agencies including: U.S. Agency for International Development, U.S. Army North, U.S. Department of Agriculture, Office of The Director of National Intelligence, Federal Emergency Management Agency. Graduates are considered by many to be premier “thinkers” on operational art and the future leaders of their organizations. The SAMS curriculum is rigorous – the average student reads approximately 150 pages of material each night, writes five papers in addition to a research monograph, spend countless hours in class and doing individual academic preparation, and conduct several exercises to practice problem solving in an operational environment. The ASLSP has a robust field study program with engagements at each combatant command, several functional commands, and includes cultural studies while in Europe and Asia. SAMS also emphasizes fitness while going through the education programs. To stay enrolled in the school, students must take and pass the Army Physical Fitness Test (APFT), and meet height and weight standards at the start and end of the year. Students conduct physical training (PT) with their small group seminars prior to the start of class to ensure a baseline level of fitness. Each month, the director holds a PT event which varies between a 5-mile run, a sprint work out or a ruck march. In the fall and spring, SAMS conducts the “Director’s PT Challenge.” This event requires students to run a 5-mile course while completing a set of exercises at stations along the way. If students complete the course in the set time, they earn the “Iron Leader” recognition at the SAMS graduation ceremony. The SAMS faculty coach, teach, and mentor students throughout the year to accomplish the graduate outcomes of the programs. Additionally, professors continually strive for excellence in their academic discipline and research to produce scholarly publications. Examples of faculty excellence this year include: Dr. Dan Fullerton published the book Armies in Gray: The Organizational History of the Confederate States Army in the Civil War; Dr. Peter J. Schifferle selection to serve as book editor of Bringing Order to Chaos: Historical Case Studies of Combined Arms Maneuver in Large Scale Combat Operations, scheduled for publication by Army University Press in October 2018; Dr. Robert Davis has a chapter titled “Cold War Infamy: NATO Exercise Carte Blanche,” in Military Exercises: Political Messaging and Strategic Impact. For these reasons, the CGSC Foundation salutes and recognizes the SAMS faculty and students in the SAMS Class of 2018 for their professional dedication, excellence, and continued service in the profession of arms and to their respective nations. We wish the students well as they leave Fort Leavenworth to face new challenges and missions around the world.